How gorgeous is this dress?! I've been dying to photograph it since I bought it and finally got the chance at the perfect location. Whenever I wear it, I feel like I'm on the French riviera and get cravings for a glass of red wine and cheese. Plus, it's super breezy which makes it perfect for summer. Also, apparently Kelly Ripa wore this dress on Live With Kelly & Ryan, so that's kind of fun! Considering the location of these photos, I wanted to talk just a little about my love for Southern architecture. 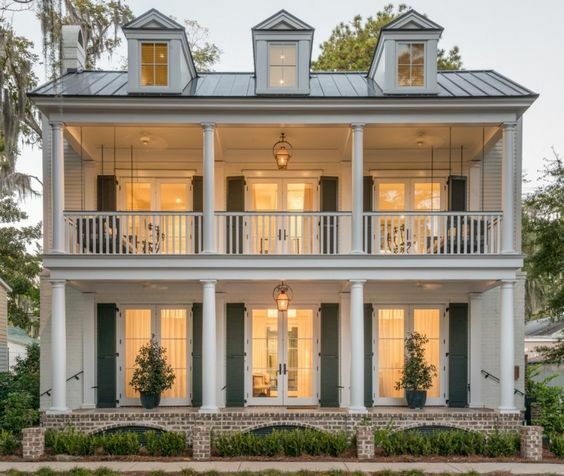 The kind of homes you see in places like Palmetto Bluff and Charleston always make my heart beat faster. 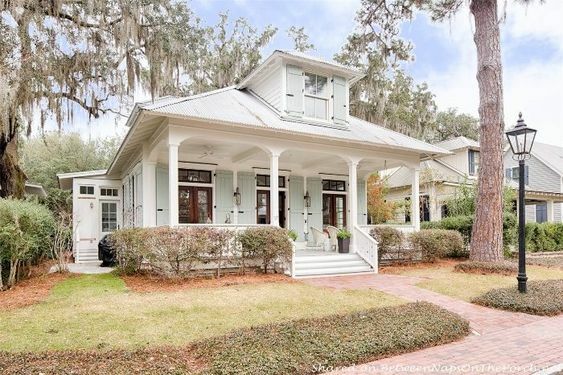 For the most part, what I like is considered 'lowcountry' architecture. They just conjure images of sweet tea, biscuits and peach cobbler, sitting outdoors on a hot day, and the sound of cicadas humming in the distance. The look balances elegance, history, and a laid-back vibe, which is exactly what I love to see. Think verandas, double hung windows, wooden shutters, and screened-in porches. Things that seem purely visual actually have functional purposes, like the color used to paint shutters and porch ceilings. Descendants of African slaves believed that the soft blue-green shade would keep away evil spirits. The color is also though to repel insects and keep the space cool. Touching more on that note, there's a certain energy in old Southern houses because of the South's complicated, often tragic, history. In fact, I sometimes hesitate to express how much I enjoy the look of the plantation house because the actual function of the old plantation was so appalling. Growing up in the South and especially as a student at Flagler College in St. Augustine, a city that dates back to the mid-1500s and has seen centuries of architectural development among both the wealthy and marginalized groups, I have so many memories that take place in and around these kinds of homes. 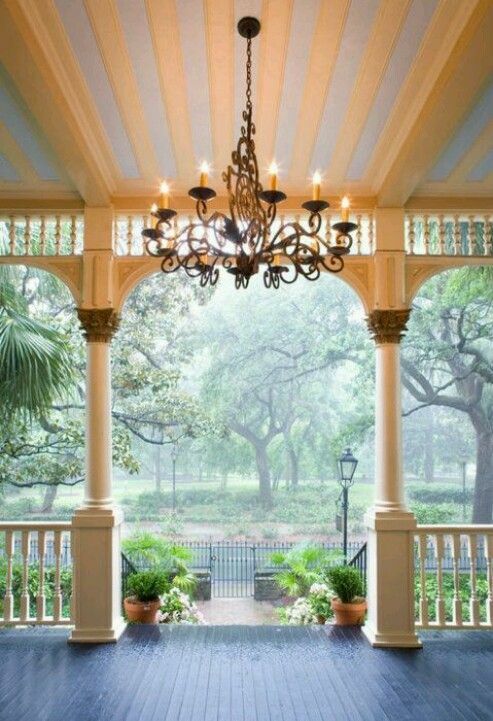 I guess that's the root of my love for Southern architecture, just the fact that it feels nostalgic to me.